Purchase this product now and earn 98 CarePoints! It is very important to know that we need to measure the body temperature to help us to know our bodies temperature , and help us to know the weather temperature which affects our life skills. You should know that some processed food industries require a certain temperature , and measuring temperature helps the doctor to write the suitable medicine , where the normal temperature of the healthy person is 37 degree Celsius. It is very important to know that we can not measure the temperature by touching only because the sense of touching helps us in finding out if the object is hot or cold but it can not measure the temperature. You should know that we need a certain device that can measure the temperature accurately , where this device is called the thermometer. The Forehead Thermometer is non-intrusive. A measurement can be taken even while the child is sleeping. It offers a more comfortable temperature measurement especially to young children. 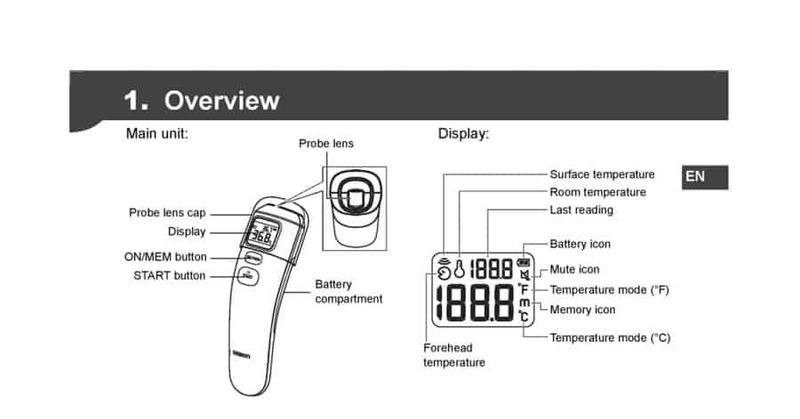 Hold the unit with the probe lens 1 to 3cm away from the centre of the forehead. 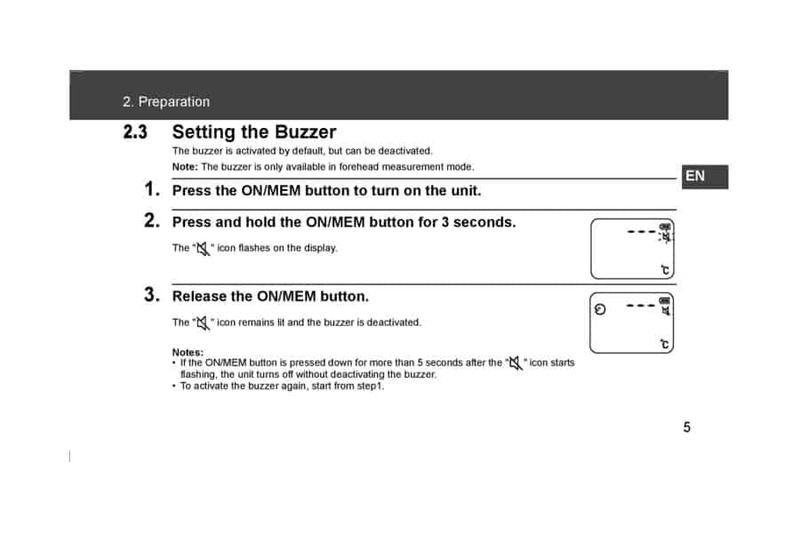 Simply press the START button and measurement is complete in 1 second. This mode displays the oral-equivalent value of the measured forehead temperature. 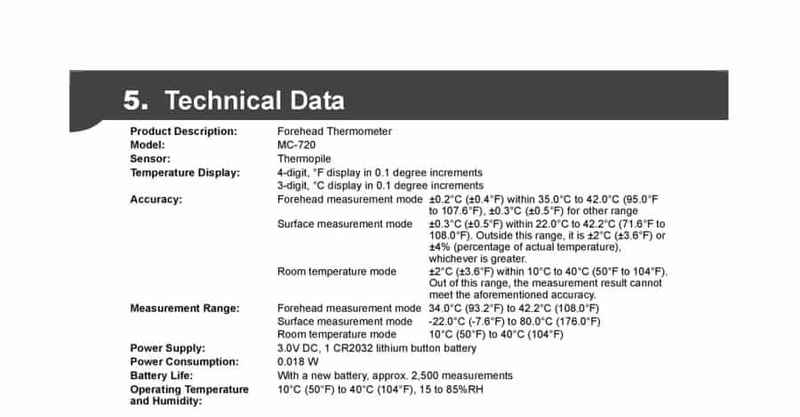 This unit measures the temperature at the surface of the forehead by sensing infrared emission of the skin at the measured point, and then calculates the oral-equivalent value using a unique algorithm based on actual body temperature survey data. 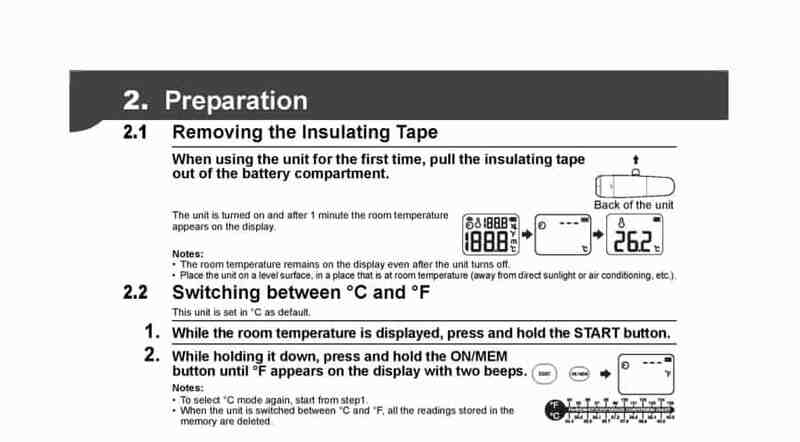 The room temperature remains on the display even after the unit turns off. Surface measurement mode shows the actual and unadjusted surface temperature of an object, which is different from the body temperature. This mode can help you determine if the object temperature is suitable for a patient or baby (such as baby milk). 1 Year warranty for all Omron blood pressure monitors unless stated otherwise.